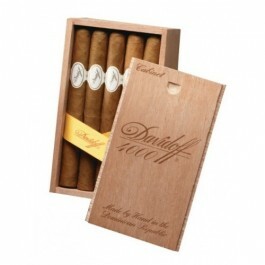 The Davidoff 4000 is a 6 1/8” x 43 Corona Larga, handmade with Dominican Republic tobacco. A subtle yet rich medium to strong bodied cigar. AGED CIGAR ALERT: This is a vintage cigar from 2007 with limited availability. Part of the Thousand Series, which is slightly stronger than the Classic Series but smoother than the Grand Cru Series, it is a very delicate little stogie that will last for about an hour and half. These cigars come in a wooden box of 25 cigars.